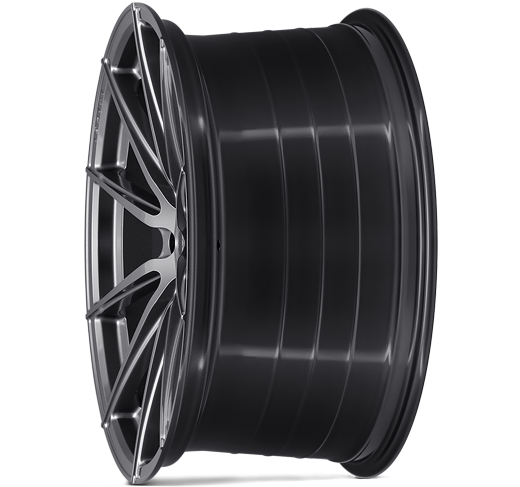 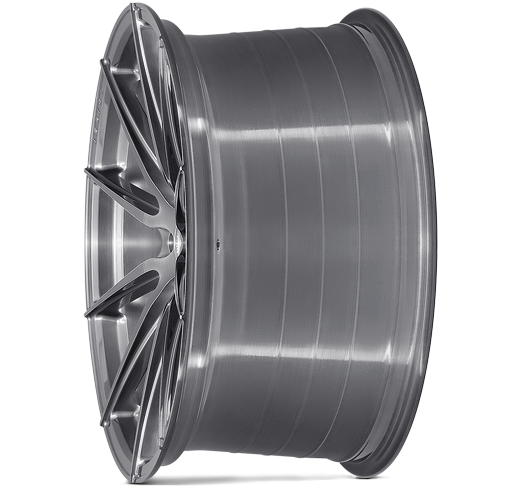 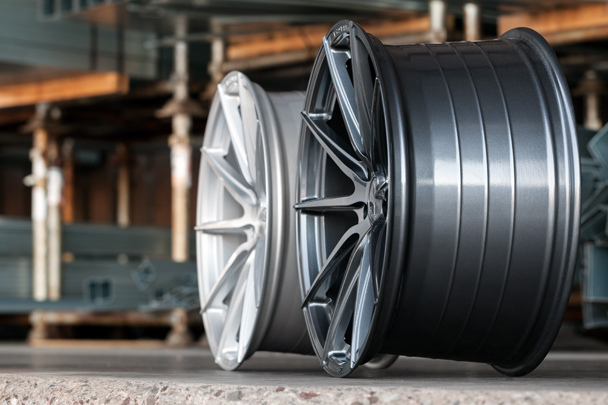 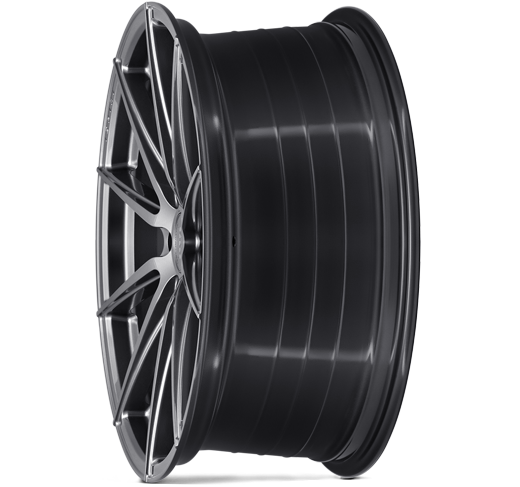 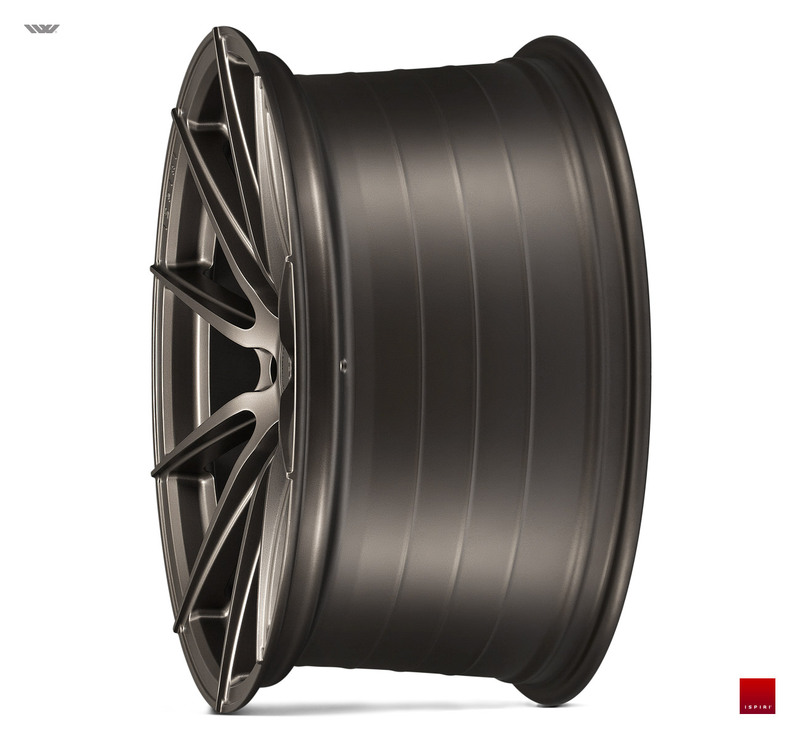 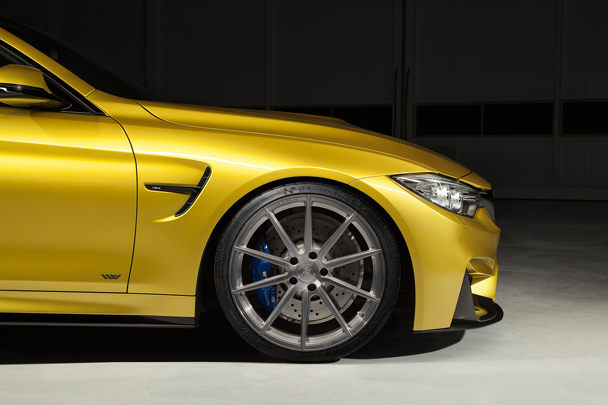 A lightweight flow form wheel manufactured using Ispiri FusionForged™ and Motioncast™ technologies, designed to enhance modern high performance vehicles. 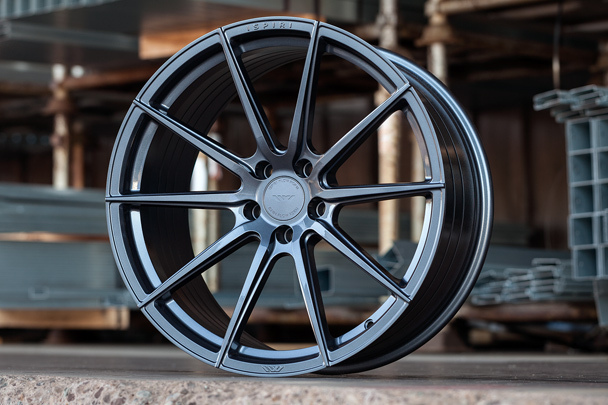 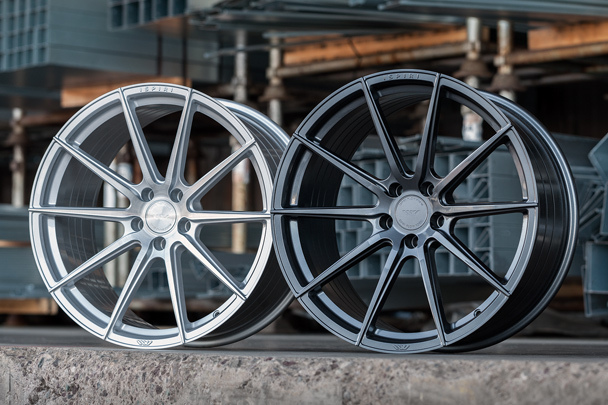 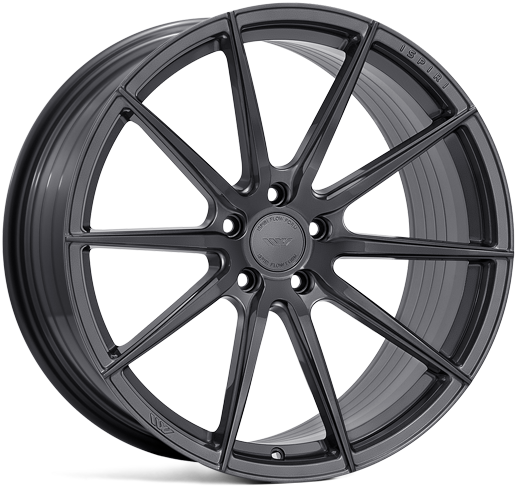 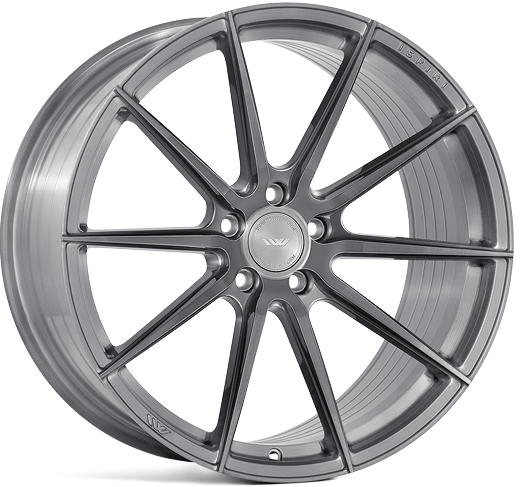 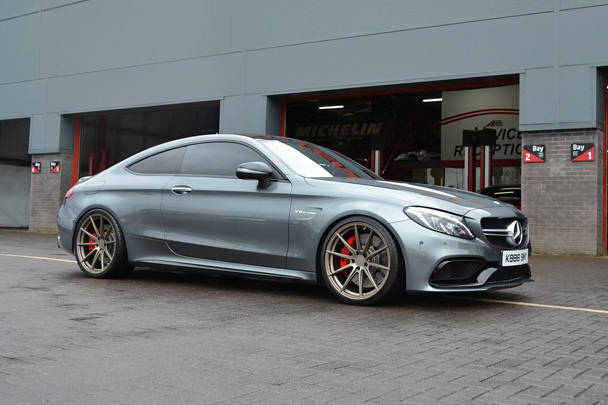 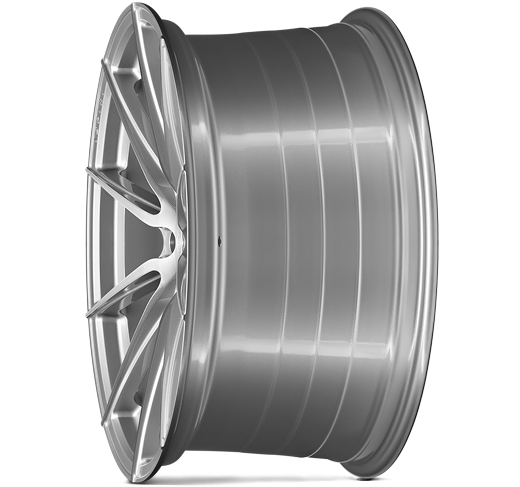 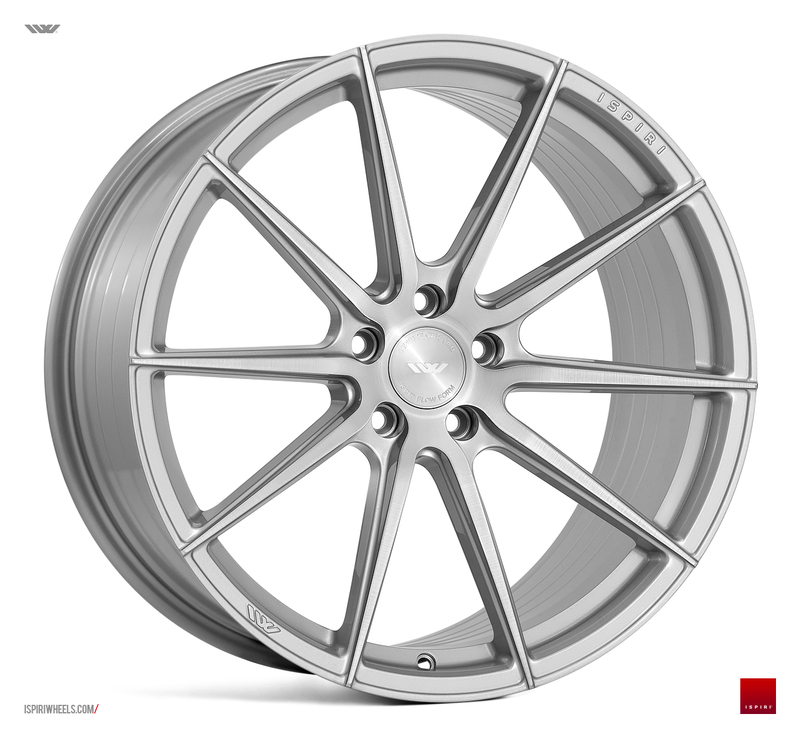 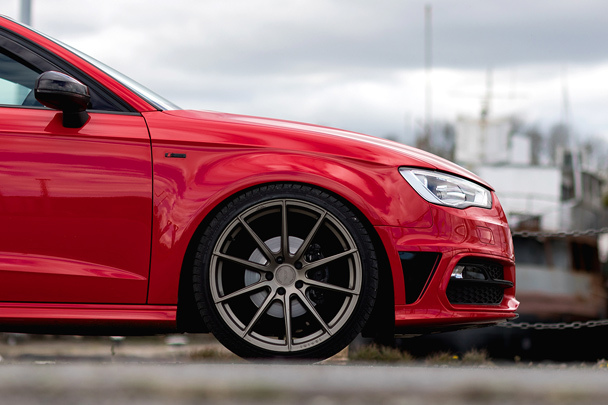 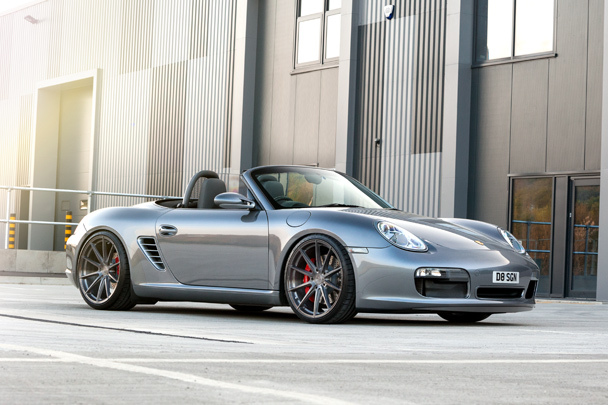 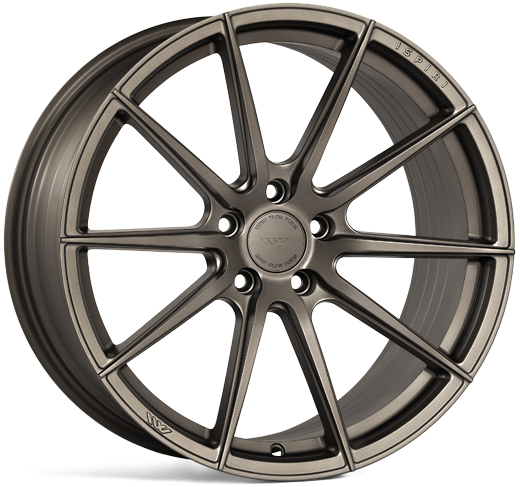 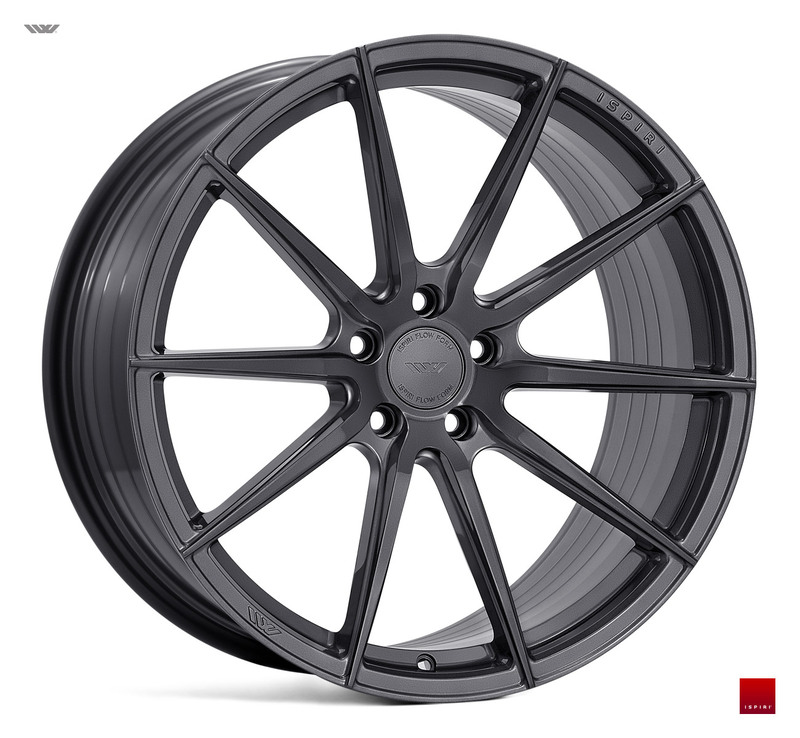 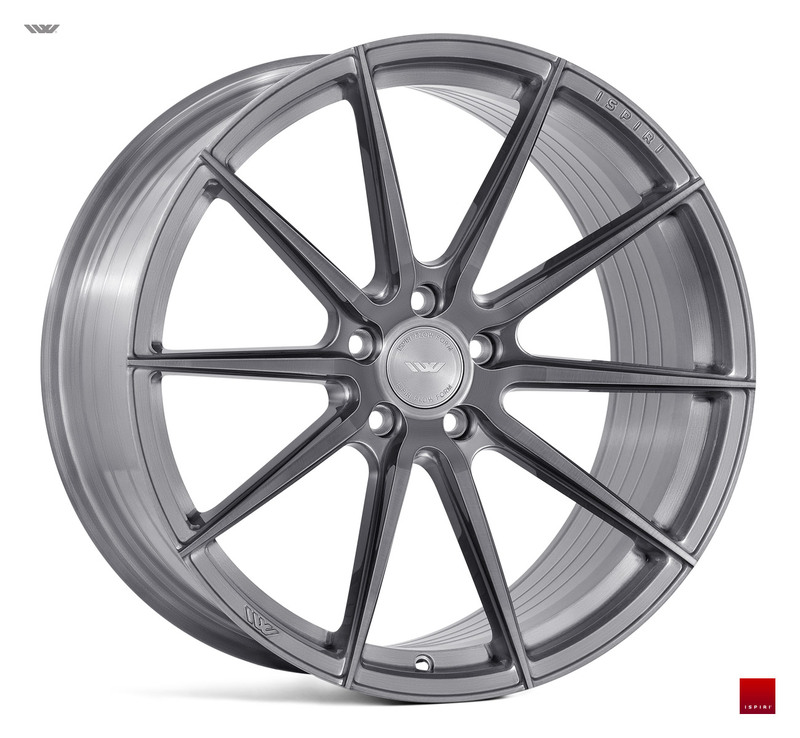 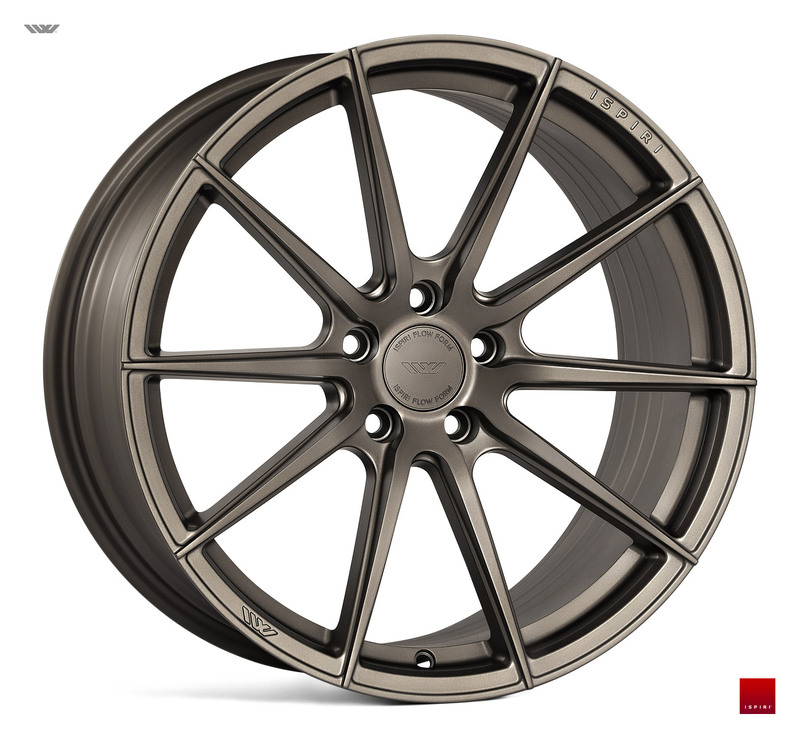 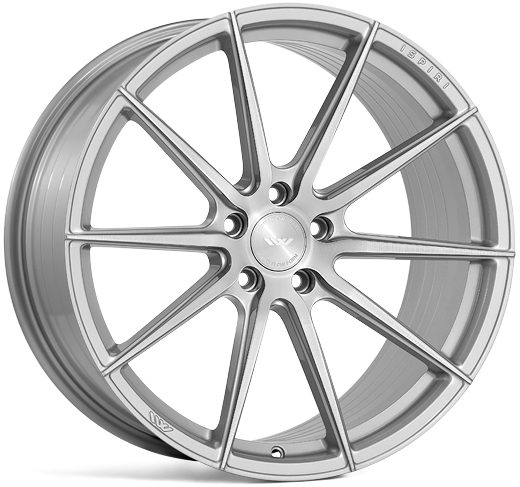 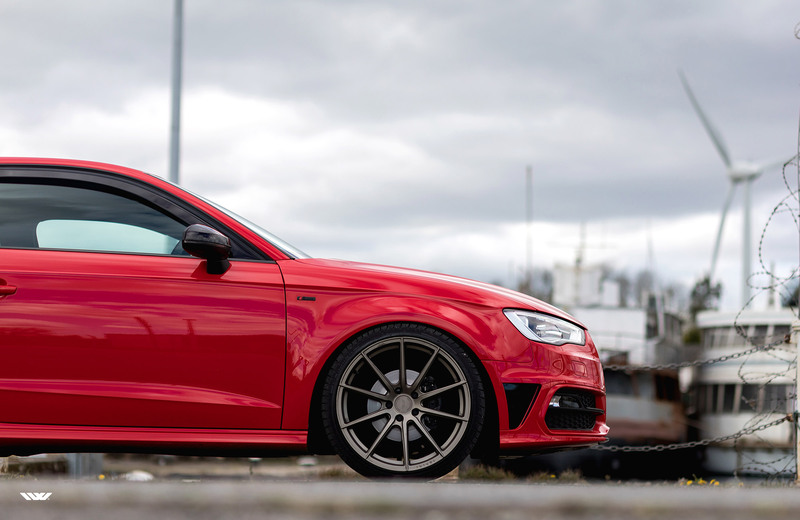 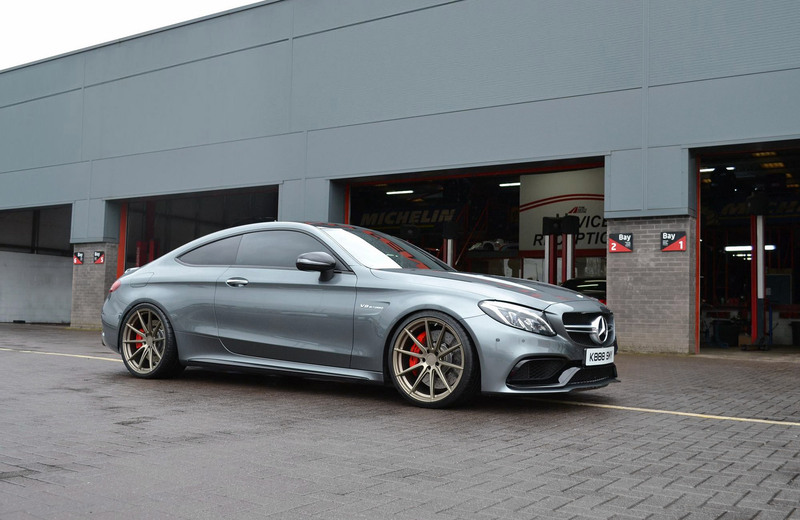 FFR wheels are initially cast using the Ispiri Motioncast™ process, a superior form of casting that produces a denser alloy with less impurities and air pockets, allowing for a lighter and stronger wheel than traditional Low Pressure Cast wheels. 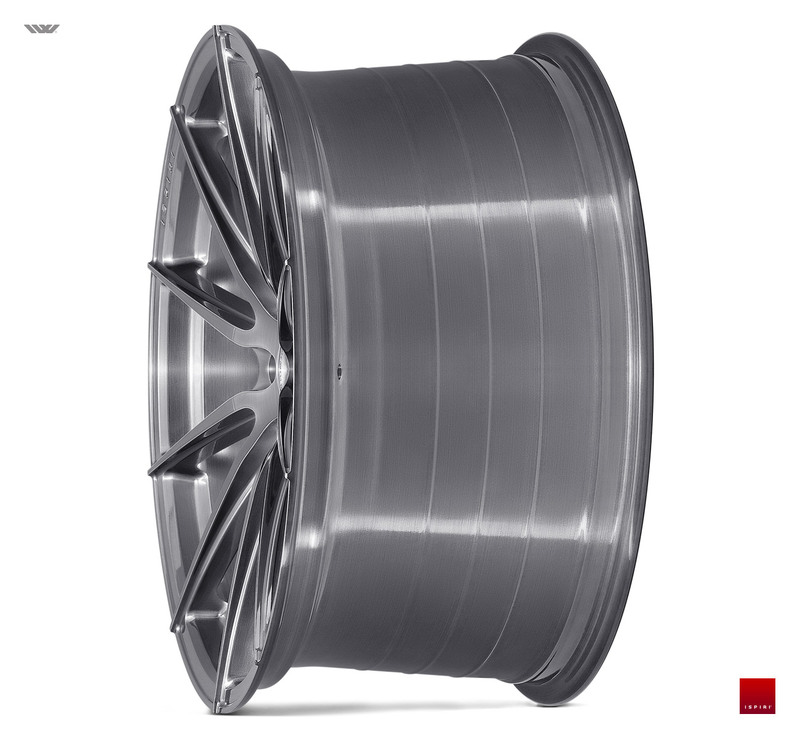 Ispiri FusionForged™ utilises our state-of-the-art flow form technology. 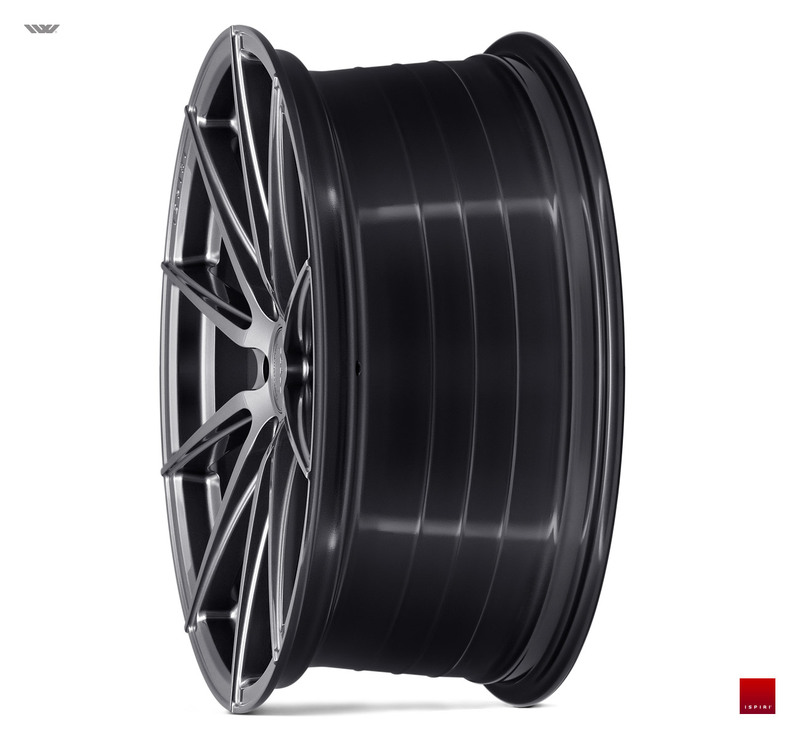 This process uses a special drum combined with heat and pressure applied by rollers that compress stretch and form the wheel barrel to a pre-defined thickness and desired profile. 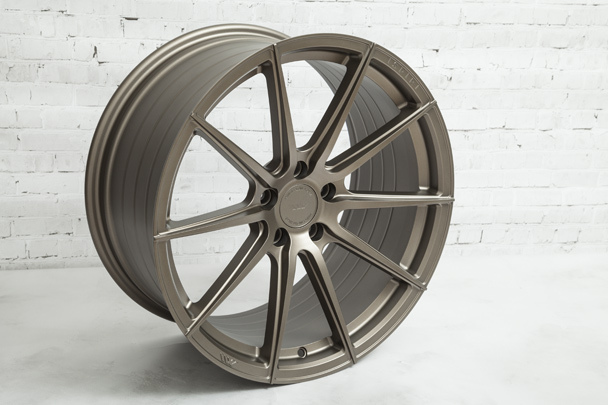 This alters the structure of the aluminium forging a wheel barrel that is thinner, stronger and significantly lighter (approx 25%) than a traditional cast wheel, with enhanced strength and reduced weight properties comparable to fully forged wheels. 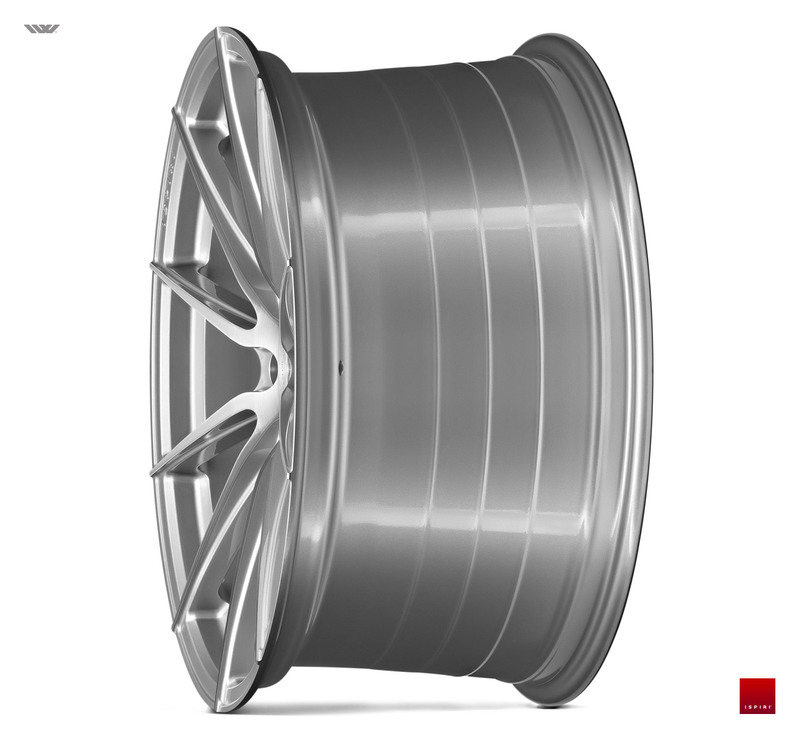 Each wheel is transferred from an oven to the flow forming drum. 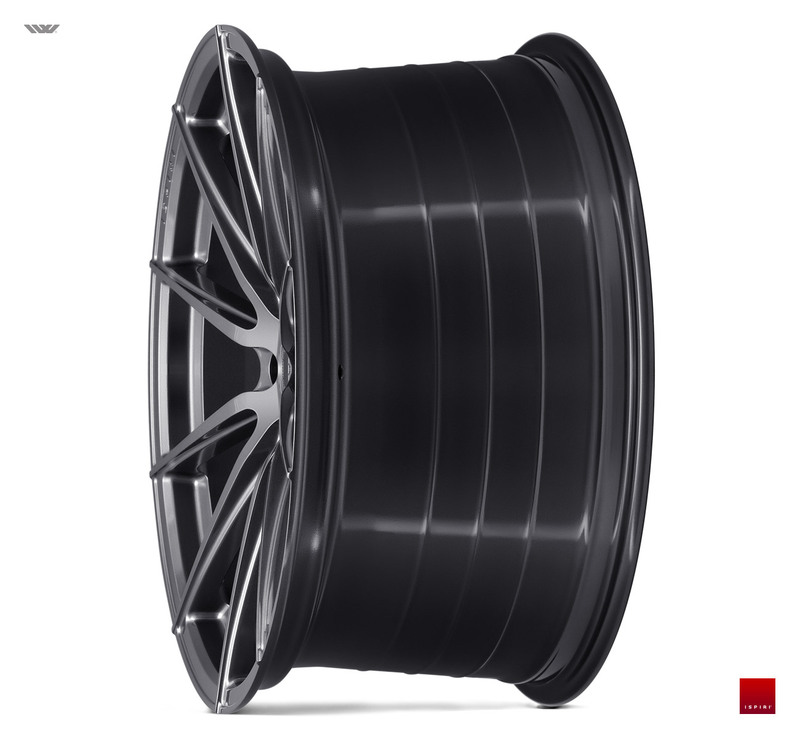 High pressure rollers move into position at the top of the wheel barrel. 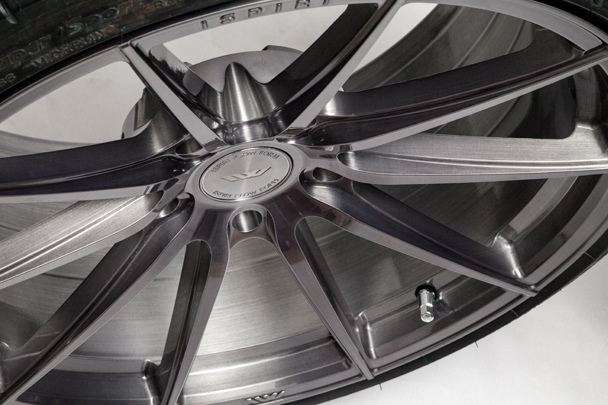 The rollers move down the barrel applying pressure to compress, stretch and form the heated wheel barrel. 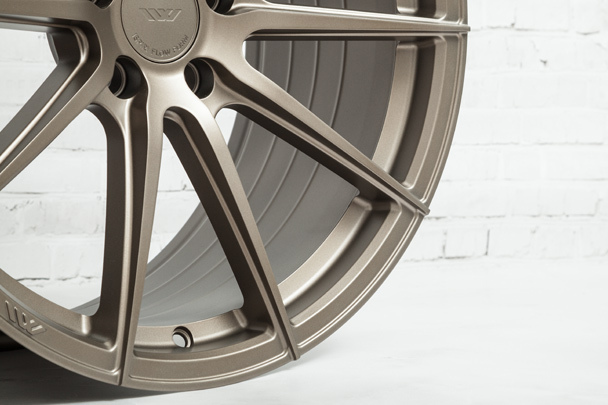 Flow forming alters the structure of the aluminium to produce a wheel barrel that is thinner, stronger and significantly lighter than traditional cast. 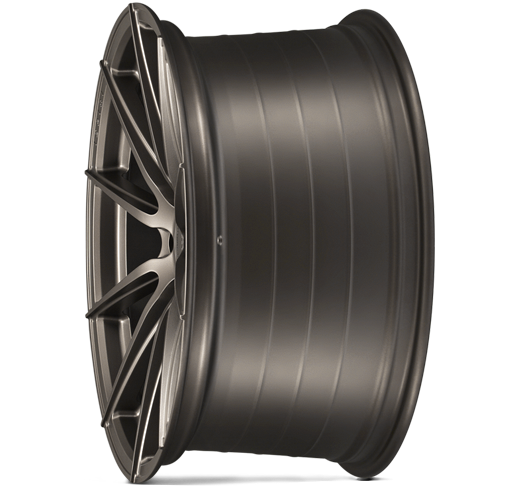 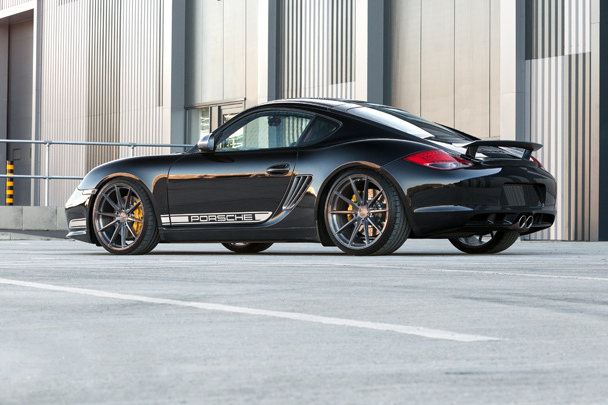 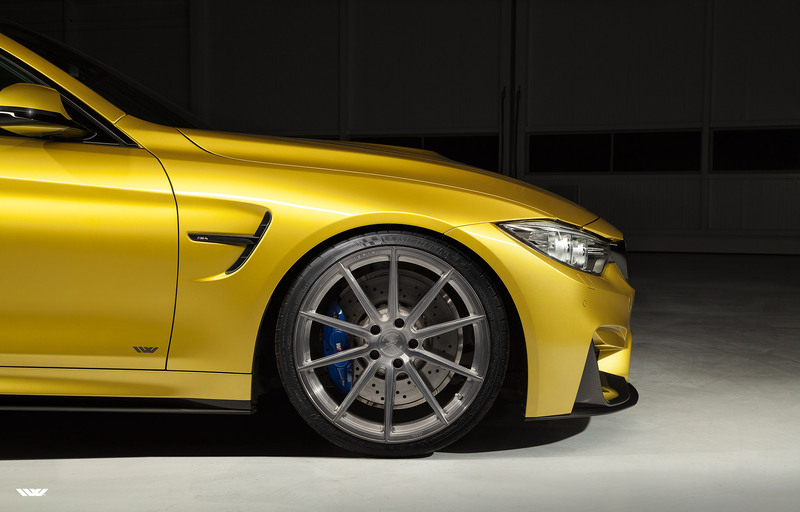 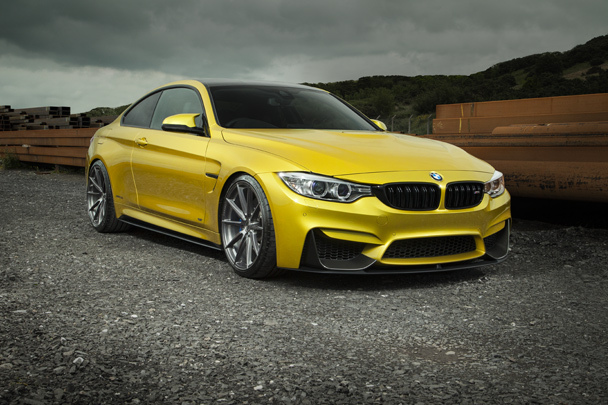 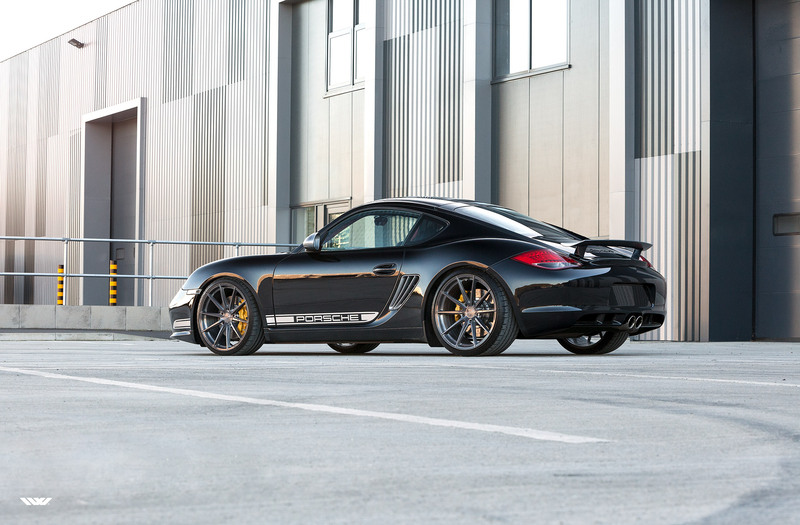 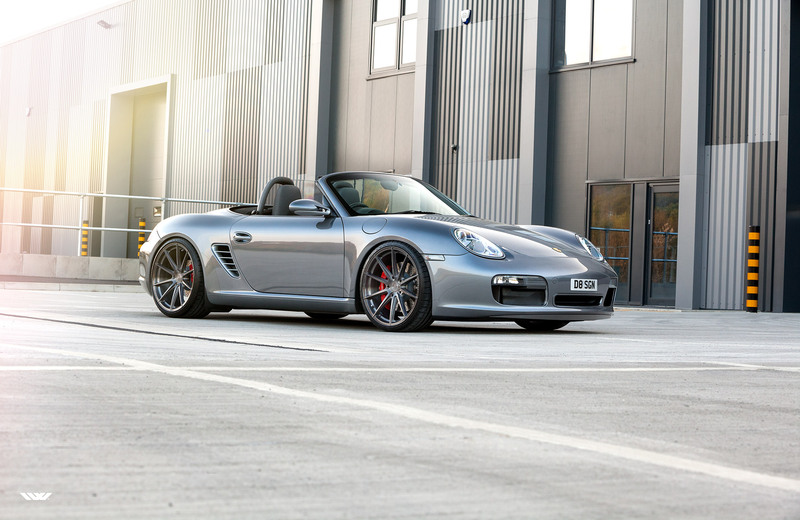 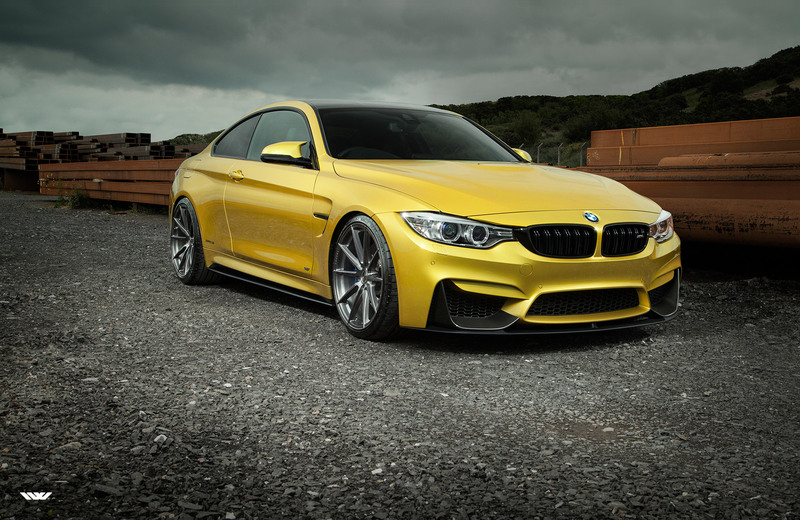 Designed for maximum brake clearance suitable for larger brakes.